Calling on our political leaders and plutocrats to show some grit. When I was a kid “grit” was the stuff that was left in the bottom of the bath tub after I showered following a full day spent on a dusty baseball field. “Grit” was also the stuff in the Lava soap my auto mechanic father used to get the grease off his hands at the end of the work day. Now the word “grit” has morphed into one more way for the corporate education reformers to blame children, teachers and parents for what they perceive as the shortcomings of public education. Apparently, American school children lack grit and their teachers and parents are failing to instill it in them. I admit by that definition I am not very gritty myself. My father didn’t know grit from shinola, but he often lamented my lack of it. I had a passion for baseball, but couldn’t hit a lick. My dad said I wasn’t trying hard enough. I believed him, so I practiced more, got extra coaching and still couldn’t hit a lick. My dad said I was too lazy to practice enough. I eventually gave up my dreams of being a major league baseball player. See – a grit deficit. In ninth grade my grit was put to the ultimate test, I was assigned to read Silas Marner, by George Eliot. I tried to grit it out. I read the first chapter. I read most of the second chapter. That was it. I gave up the ghost. It didn’t make any sense of me and even thinking about the novel today makes start to yawn. Fortunately, my copy of the dreaded Silas had the John Steinbeck novella, The Red Pony, in the back. I loved that. I read it in one sitting. I then read every other book that Steinbeck had ever written (I started with the short ones and worked my up to The Grapes of Wrath). Once again my grit failed me, but fortunately a new passion was found, Steinbeck, and through that passion I developed some literary grit. This leads me to a question. How can we develop grit in children who feel marginalized and disenfranchised? I am reminded of a line in the song To Be a Man by the folk singer, Len Chandler, “If you give a boy just half a chance, he might become just half a man.” Becoming a fully functioning man or woman demands a full chance. With income inequality rising and 25% of our children living in poverty, we are guaranteeing that one-quarter of our kids don’t get even that half a chance. The one element I believe we must acknowledge as a prerequisite to the development of grit is hope. Hope of achieving your goals. Hope that allows you to set goals. Hope of a life less burdened by material and emotional deprivation. Hope of fulfilling work. Hope of making an impact for better in the world. If you are feeling, in Kristof’s words, “marginalized and disenfranchised”, where does that hope come from? In this country, we are systematically destroying the hopes of 25% of our children through the pernicious effects of poverty and income inequality. But the corporate education reformers say that teachers must help children develop grit. The truth is that teachers, including those working with our throw away children in poverty, have helped students cultivate their passions and learn to stick it out when the going gets tough. But it is also the truth that those who do emerge from grinding poverty to the kind of success we want for all of our kids are outliers, exceptions to the rule. Poverty, for far too many, defeats grit. I would like to see some grit from the political leaders and wealthy plutocrats supporting education reform. I would like to see the kind of grit that makes them want to defeat poverty, not by battering teachers and teachers unions, but by championing policies that lessen inequality. As Paul Krugman has shown, inequality is not inevitable; it is political. Policies and practices can make a difference. It will be hard work. It will take determination. It will take time. It will take a huge effort. Do our political leaders and 1%ers have the grit to see it through? I once had a superintendent of schools tell me, “Your loyalty should lie with the persons who sign your paycheck – the school board.” I disagreed then and I disagree now. Sure, as an employee of a school district I am sworn to carry out the policies and teach the curriculum that is approved by the Board, but my loyalty as a professional must reside with my students. When the students’ best interests, in my professional judgment, conflict with Board policy or action, I must work to change the policy or redirect the action. That is what it means to be professional. That is also one important reason teachers need job protections. In an earlier post here, I wrote about the importance of teacher advocacy for children as one very good reason for teacher tenure. This argument was brought home to me through a recent online discussion with a special education teacher in the Philadelphia School District. Apparently the District administration, then under the leadership of the infamous reformer Paul Vallas, was concerned that they were losing special education court cases because special educators were advocating for the children. The teacher reported being told this by a school district lawyer. “You are NOT advocates for the children…You are advocates for the School District of Philadelphia. You can't advocate for the district and the students…You must always support the district. That's where your loyalty must be if you want to keep collecting a salary from the district.."
So, according to the School District of Philadelphia, teachers are not to be child advocates, but rather good soldiers that (goose) step in line with whatever the District decides is right for the bottom line. And, god forbid, if a child needs a service that costs money to be successful in school, you are forbidden from placing that in the IEP. Now, I understand that any school district, and certainly one as cash strapped as Philadelphia’s, needs to keep controls on spending. I also realize that special education costs can be a huge drain on a school district’s budget, but to attempt to bully and threaten teachers into abandoning their roles as child advocate in the name of some sort of misguided employer loyalty is outrageous. What this comes down to is an object lesson in why teacher’s need tenure. Without job protections and in a climate created by the administration of the Philadelphia schools, who will speak for the children? 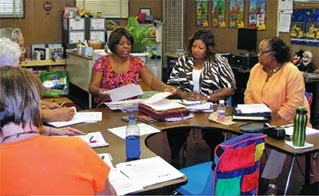 Healthy schools embrace input from all teachers. In my role as a reading specialist, I sat on many child study teams looking into students who were failing to thrive in our school. I was not only allowed, but encouraged to share my perspectives from my work with the child, the assessments I had administered, and the observational notes I had made. Everyone in the room, teachers, nurse, counselor, social worker and administrator were focused on what was best for that child. Sometimes I made recommendations that were embraced and sometimes my recommendations were rejected in the light of other evidence, but they were always invited. I never feared that my job was on the line because I advocated for a child from my own professional viewpoint. This type of collegiality in the service of children cannot happen in an atmosphere of fear. Teacher’s make thousands of decisions a day for their students. Some of those decisions involve student advocacy. Teachers sometimes must advocate for an individual child in communication with a parent, with other teachers or with school administrators. At other times teachers must advocate for all the students in the class or in the ditrict when the Board seeks to cut programs or adopt policies that harm kids. The protections of tenure allow the teacher to serve this vital role. If a teacher does not have these protections, the children will be the losers. Ultimately, the teacher is a special type of employee; one who needs a special type of protection to do the job well. Members of this profession serve two masters: the board of education and the children. Job protections allow these employees to make sound decisions when the needs of these two masters are in conflict. On Monday, Governor Chris Christie of New Jersey issued an executive order that delayed his much ballyhooed teacher evaluation program – AchieveNJ. I wrote about the impact of that action earlier this week here. Along with the executive order, Christie’s office issued a press release that I found to be a particularly entertaining exercise in putting a positive spin on a clear loss. Here is the first line of that press release: “This Administration is committed to the educational success of every child, no matter the zip code, said Governor Christie.” The zip code line must be in the public relations manual that all education reformers are required to adhere to; we hear it so often. 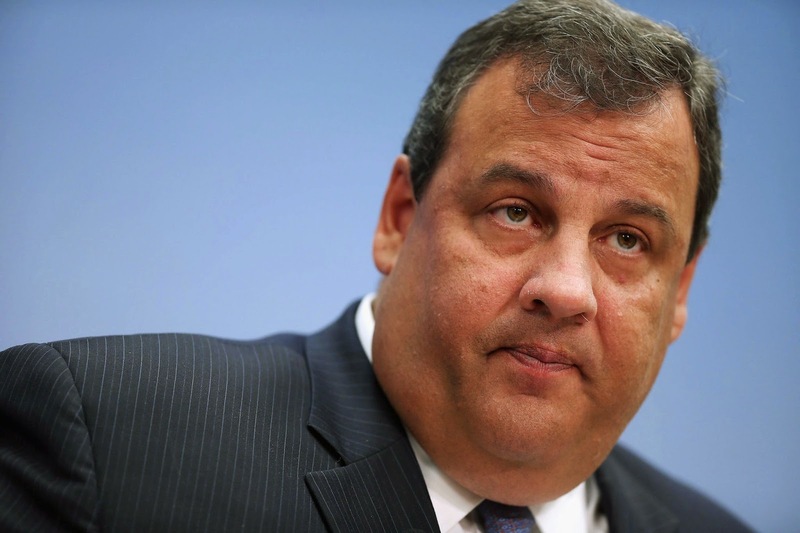 It makes me wonder if Christie should hire a Commissioner of Hypocrisy. Since he has been in office, Christie has worked diligently to be sure that New Jersey’s poor and near poor families cannot change their zip code. What these weak affordable housing regulations do is effectively bar economic diversity in New Jersey towns and townships. More economic diversity would do more for educational opportunity for working poor families in New Jersey than any of the corporate education reformer solutions that Christie champions. Blocking citizen’s access to affordable housing is far worse than blocking traffic on the George Washington Bridge. We believe that families of every income level and every background, especially low-income people of color, should have the choice to live in any community and any school district, and should not be excluded by discriminatory zoning policies. We believe that if a low-income person of color wants to live in a community with exemplary schools, or good access to jobs, or close to transit hubs, they should have the same opportunity to do so as people earning six figures. This is what Fair Share believes and it is also what the law demands, which is why the Christie administration has been at loggerheads with the courts on this issue. Further down in Governor’s press release, Christie’s Inter-district Public School Choice program is lauded for “increasing educational opportunities for students with the option of attending a public school outside the district of residence and without cost to parents.” Taken together with his efforts to block affordable housing, the Christie administration is saying it will allow you to send your child outside of your home district; just don’t ask to have affordable housing so you can actually move to where you would like to send your child to school. So there you have the hypocrisy of the Christie administration. The Governor is more than happy to borrow from the corporate education reformers playbook and tell poor parents in urban areas that the problems in education are bad teachers, bad schools and a lack of choice. So we get attacks on teachers and their unions, proliferating charter schools of dubious quality, and the inter-district transporting of children, all in the name of choice. When it comes to providing real choice for New Jersey families through fair housing, however, Christie says to the working poor of New Jersey, “No choice for you.” So Christie’s desire for choice does not extend to his leafy suburban backyard or to the backyards of his wealthy supporters. The message to New Jersey’s poor? Stay where you are and we will shuffle your kids around. If Christie wants to keep talking about zip codes, how about a serious approach to assisting families to change their zip codes if they would like? Denny Taylor is author of the influential books Family Literacy and Learning Denied, two books that had a huge influence on my thinking about literacy instruction. When she speaks, we all should listen. After years away from publishing, but not from researching, Denny is back with a vengeance. She deserves our support. Please read her letter below. Some of you will have read books I have written based on forty years of longitudinal research in family, community, and schools settings with children, families, and teachers who live and work in challenging social and physical environments. Except for my doctoral dissertation, all my research has taken place in sites of urban and rural poverty. About fifteen years ago I became more focused on catastrophic events, including extreme weather events, industrial disasters, war and armed conflict, and acts of mass violence that occur with little warning and in a matter of a few seconds change the lives of children, teachers, and their families forever. I haven’t published during this fifteen year time period, but I have been working as a researcher and writing on a daily basis. Much of the time I have spent studying the research on trauma and mass trauma with a mentor in the field. Still more time has been spent studying Earth system science, and eventually writing qualitative research papers that were peer reviewed by researchers in the physical sciences. Based on the reviews, I have participated in research conferences and meetings with Earth system scientists whose research focuses on quantitative studies on the anthropogenic changes that are taking place to the planet. My own research has evolved, and I have found my place between scientists, policy makers, and the public. The mix of social and physical sciences is making it possible for me to share the findings of these fifteen years of daily study, which are firmly grounded in scientific evidence, and in the lived knowledge that has come from living and working in places where catastrophic events have taken place. The acceleration of anthropogenic change to the planet. The Earth system scientists from the global scientific community who participated in the IPCC 5th Assessment Report categorized climate change as “unequivocal”, and 195 countries signed documents in agreement with these scientists. In addition, the US Government Accountability Office (GAO) has produced 40 reports, the first in 2005, raising concerns about climate change and in the 2014 report the GAO has elevated the impacts of climate change to “high risk” status. The Department of Defense (DOD) has issued similar reports and warnings and is preparing for catastrophic events that might occur because of climate change. But the US Congress still refuses to act. Many members of Congress are still denying that climate change is unequivocal, and they refuse to acknowledge that both the people of the United States and the entire global community are at “high risk”. Even more inexplicable is the fact that there is now one political party in the US Congress that is not only denying climate change, but has powerful members on Congressional sub-committees convened to focus on climate change who are also outspoken in denying basic science. First Proposition: By defunding public education the federal government is selling the future of children in the US to private corporations, creating huge revenues for companies and a bonanza for shareholders, while at the same time undermining and destabilizing the neighborhoods and communities in which schools are privatized. Second Proposition: By profligating denial of climate change, defunding and limiting expenditures on mitigating climate and environmental problems, the US Congress is actively engaged in protecting the corporate interests that have supported their political campaigns, while willfully ignoring the very real and very grave threat that exists to the American people, especially children, and to all human life on the planet. Third proposition: By defunding public education and selling the children in the US to private corporations that are in large part responsible for climate change and the destruction of the environment, the federal government is ensuring the indoctrination of America’s children into the State-Corporate Complex that is threatening their future, while at the same time actively interfering with their capacity to develop the problem-solving capabilities they will need to tackle the potentially life-threatening anthropogenic changes to the planet that they will experience in their lifetime. Fourth proposition:If we are serious about preparing our children for an uncertain future, in which they will be confronted by many perils, then we must stop the corporate education revolution immediately and recreate the public school system based on democratic principles, ensuring equality and opportunity for all children to participate in projects and activities that will ensure their active engagement in re-visioning and re-imagining human life on Earth. For our children and the planet, the third and fourth propositions are far reaching in their implications. The three books unpackage the political propaganda, and focus on the scientific research that is being obfuscated for political power, and corporate revenues and profits. Each book explores the relationships that exist between what Noam Chomsky calls “the State-Corporate Complex” and the acceleration of climate change, and the defunding andcorporatization of public education. Together they provide compelling evidence why the Common Core should be abandoned and Pearson’s “global education revolution” immediately ended. Nineteen Clues: Great Transformation Can Be Achieved Through Collective (just published in paper and also available in electronic formats for Amazon, B&N, Kobo, and iBooks). Save Our Children, Save Our School, Pearson Broke the Golden Rule (proof copies of this political satire have arrived and the actual book should be available in two weeks with eBooks to follow). Keys to the Future: A Parent-Teacher Guide to Saving the Planet (is in the final edit stage and will be available in paper by September, again with eBooks to follow). Extreme inequality is not only bad for people it is bad for the planet – the poor are at greater peril than the rich. Many teachers and parents are already leading the way in the struggle for equality and more humane learning environments for children. Their courageous activism is the struggle not only for the re-establishment of the publiceducation system, but also for the future of humanity. The dangers to our children are real, and at Garn we volunteering our time to work for the Press, because we regard ourselves as first responders in an emergency situation. Our mission is to publish books with actionable knowledge that can be of use to educators and the public. We are hopeful for the future and we put our trust in the people, especially parents and teachers, who are working to make the planet a child safe zone. Please consider supporting Garn Press by sharing this letter with everyone in your social networks and encouraging your friends and colleagues to read the books. Reviews are welcome! We insisted that their classes included the arts, dance, music, drama, painting and drawing in seamless lessons that encouraged joyfulness and a sense of belonging to a community. We will be able to tell them that because of the ways in which we insisted they were educated the ethos of the nation changed. Because of their children the public began to regard the Earth differently. People began to reassess what was important to them. They acted on what they already knew, that liberty cannot exist without justice, and that the price of great wealth for a few was too high for the public to pay and would no longer be tolerated. We will tell them we stood strong, and we used these newfound beliefs in our re-Imagining of the ways we live on the planet. We will tell them because we love our children so much the world changed. Champion of corporate education reform, Governor Chris Christie of New Jersey has blinked on one of the signature tenets of that reform movement: AchieveNJ – which provides for teacher evaluation tied to student performance on standardized tests. Faced with an assembly bill that sought to delay the use of the new tests to measure schools and teachers until a task force could be established to review and report on the impact of the tests, Christie capitulated. He had threatened to veto any such bill, but faced with a 72-4 bi-partisan vote in the assembly, Christie had little choice but to compromise. His executive order does nothing to relieve parents and children from taking the suspect tests, but it does delay the implementation of the value-added measurement of teacher performance. The executive order means that the 20 per cent of New Jersey teachers who teach language arts and math in grades 3-8 will have student performance on those tests count for 10 per cent of their evaluation in 2014-15 and 20 per cent the following year. While the executive order really just kicks the can down the road for two years, it must be seen as a clear victory for the two teacher unions, NJEA and AFT, if not for parents and students. So now we wait for the findings of this new task force. Chritie's task forces have a tendency to report what Christie wants to hear, so I am not very optimistic about what we will hear from this new panel. Several years ago, another of the Governor's executive orders initiated the Task Force on Educator Evaluation, a group that ultimately recommended the 35 per cent number for the amount that student standardized tests should count in a teacher evaluation. That recommendation flew directly in the face of testimony provided that task force by a group of New Jersey educators and researchers calling themeselves EQuATE. The EQuATE report called on the task force to recommend the following to the Governor. 1. Appoint a ―guiding coalition to develop an aligned ―Department of Education – Local Education Authority‖ (DOE-LEA) system for continuous improvement of teaching and school leadership through an inclusive process by December 2011. 3. Complete a pilot of the DOE-LEA process and framework by July 2015. 4. Provide LEAs with a set of criteria by which they might opt-out of the proposed statewide system based on performance and locally developed educator improvement systems. One alternative should be a locally negotiated Peer Assistance and Review (PAR) process designed to identify and assist under-performing teachers before making a professional judgment regarding their fitness for continued service. EQuATE further warned of the dangers of attributing more to test scores than they could reveal about teacher effectiveness. Research studies show that the teacher’s effect on value-added scores, based on these kinds of tests, accounts for only 3-4 percent of the variation.1 Fully 90 percent of the variation in VAMs is attributable to student characteristics and the interaction of learning/test-taking styles with the instruments used to measure achievement; it’s not the teacher. To ascribe a weight to this measure that exceeds its explanatory power would be malpractice at best. If the Task Force on Educator Evaluation had aligned their recommendations with this reasoned and well-researched approach, yesterday's Christie capitulation would not have been necessary and real progress on teacher evaluation could have been made. Instead the task force report and the policy which followed it were driven by ideology rather than sound practice. Christie paid a bit of a price for that yesterday. It will be interesting to see if this new task force listens to educators, sound research and good sense and makes non-ideological recommendations. I, for one, am not holding my breath. For a full explanation of why AchieveNJ is "faith-based policy" please see Jersey Jazzman here. Secretary of Education Arne Duncan says he wants all students to have access to a quality teacher. Well, who could argue with that? On Monday, the U.S. Department of Education launched an initiative aimed at addressing what Duncan calls the “systemic inequities that short-change students in high-poverty, high-minority schools across our country.” He has called for every state to get cracking at developing their teacher equity plans. The Secretary wants equity so badly that, according to Education Week, he has dedicated 4.2 million dollars to develop a “technical assistance” network to help states develop their plans. Golly gosh gee willikers, Mr. Secretary, 4.2 million dollars. To put that figure into perspective, that 4.2 million is less money than one modest sized urban school district in the country will spend in one year on the new Common Core testing regime that the Secretary has bribed states to participate in. I would say that backing this equity initiative with a pittance in cash indicates just how committed to equity this administration is. If we wish to read where their real commitments lie, perhaps we should look at other places where they spend money. In 2010, the Department of Education, under Secretary Duncan, granted 50 million dollars to Teach for America. You read that correctly. Ten times more cash was committed by this champion of equity for a program that literally defines inequity. A quick refresher. Teach for America (TFA) provides recent college graduates looking to pad their resumes and who have shown no prior interest in education as a career, with five weeks of training in teaching and throws them into the classrooms of some of our neediest children. A large majority of these recruits are gone from the classroom in 2-5 years. Originally designed to fill a need in underserved areas, they now replace furloughed certified teachers in many areas and form the bulk of the staffs in many charter operations. To recap, Duncan has committed 4.2 million to teacher equity and 50 million to insuring that inner-city children get teachers who are clearly not qualified to teach and will leave the profession in a couple of years. Whether it be under the No Child Left Behind definition of “highly-qualified” or any other designation of a well-trained, committed and certified teacher, TFA is no friend of teacher equity. If the Secretary wanted to strike one clear blow for equity, he would immediately disavow TFA and insist that every teacher in urban schools be fully trained and certified. Don’t hold your breath. It will be interesting to see what the states come up with in these equity plans. I would think that the plans would call for making teaching in urban areas more attractive to teachers. This would include things like insuring school buildings are clean, safe and under good repair. It would include insuring a professional staff that included counselors and other support staff that could help to meet the needs of students in crisis as so many urban children are. The plan might include good pay, but even more importantly, job security and the kind of autonomy that high performing teachers desire. It might also include an evaluation system that includes multiple measures of performance and that does not rely on spurious value-added formulas, famously skewed against teachers of struggling students, to assess teacher performance. But wait. 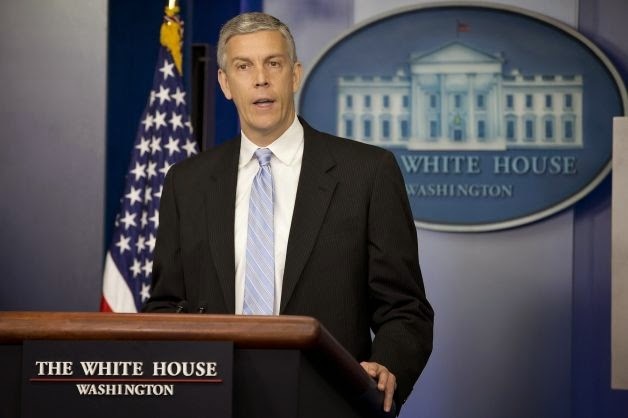 Secretary Duncan recently praised the Vergara decision that stripped teachers of their job security protections. Duncan pushes for value-added measures so we can (erroneously) identify who the best teachers are. Duncan pushes for charter schools (he gave 50 million to KIPP charters in 2010 also) that drain the funds urban districts might use to fully staff schools and repair and maintain buildings. Good luck getting your equity plans past the Secretary if you include job protections and autonomy and disavow value-added. Secretary Duncan is the enemy of the very equity to which he gives lip service. For a full and witty discussion of the false promises of the teacher equity concept, I highly recommend you read what my colleague, Peter Greene, has to say about the issue in this Huffington Post article. Recent headlines have me thinking about critical thinking. Reading some of these pronouncements makes me think that the Common Core’s call for instruction in critical thinking has come not a moment too soon. It is probably too late for Boehner, Palin and Duncan, but maybe the future political leaders sitting in Common Cored classrooms today can be saved. Or maybe not. · Students are engaged and open-minded—but discerning—readers and listeners. They work diligently to understand precisely what an author or speaker is saying, but they also question an author’s or speaker’s assumptions and premises and assess the veracity of claims and the soundness of reasoning. · Students cite specific evidence when offering an oral or written interpretation of a text. They use relevant evidence when supporting their own points in writing and speaking, making their reasoning clear to the reader or listener, and they constructively evaluate others’ use of evidence. Is it just me, or does this sound not very revolutionary to you, too? I started teaching in 1969. From day one I was asking my students to challenge the veracity of what they were reading, to cite information from the text to support their arguments, and to write and speak clearly about their opinions. I don’t buy the premise that schooling before the Common Core was all about rote learning and yet that is what I hear over and over from Common Core defenders. I do know this; rote learning was discredited in my undergraduate education (1965-69) and was consistently discredited as a practice through my years as a teacher of social studies, through my graduate work, as a reading specialist and as an instructional supervisor. When I was supervising instruction, I observed hundreds of lessons. Very few of these lessons focused on rote learning for its own sake. When they did, teachers were informed about it and provided guidance on moving the lesson to a higher level of thinking for the children. As I think critically about the Common Core and its “chief architects”, the Gates Foundation and Student Achievement Partners (David Coleman, Jason Zimba, Susan Pimentel, et.al), I have to wonder how good they are as critical thinkers, too. I wonder what level of critical thinking led them to believe that a group of people who had never taught could get together with a group of representatives of testing companies and write standards that would be embraced by the teaching community. Not to nit-pick, but if I were writing standards for teachers to implement, my own critical analysis would have led me to believe that I should integrate actual classroom teachers in the process from the beginning. Secondly, what critical thinking process allowed these “architects” to believe that the standards would absolutely work to improve education without any field testing? If David Coleman, as he avows, values evidence so much, why would he and his colleagues rush the Common Core into schools with absolutely no evidence that they will work? What, by the way, is the evidence that top-down standards have ever worked to improve teaching and learning? And finally there is the coup de grace of failed critical thinking. How are we to measure student critical thinking ability? Why, of course, on a standardized test. Nothing says commitment to the high minded concept of teaching children to be open-minded, engaged readers and listeners capable of clear reasoning than asking them to fill in the bubbles on a multiple choice answer sheet. I wonder if the “architects” critical thinking may have been clouded by having so many representatives of test companies at the table. But let us not be too harsh on David Coleman and his group of clueless standardnistas; they don’t have many great role models. 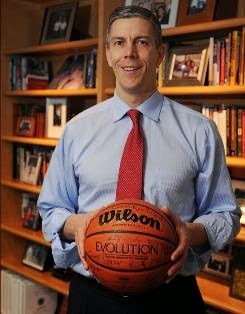 Secretary Duncan’s immediate and full-throated support of the Vergara decision striking down teacher job protections defies all common sense, let alone critical thinking. Let me see if I can get into Arne’s head on this one. Might this have been his thought process? So here is a discussion starter question for those of you who teach Civics or Problems of Democracy or Critical Reading: Boehner, Palin, Coleman, Duncan: Just what the hell were they thinking? If you want to put children first, you must also put the adults who are working closest with them, their parents and their teachers, first. The corporate education reformers love to talk about putting students first. 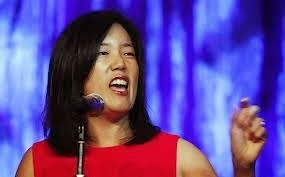 Uber-reformer, Michelle Rhee, loves to say it so much she named her multi-million dollar non-profit StudentsFirst. 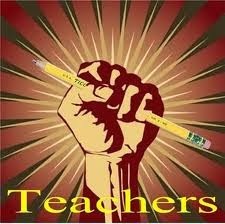 When reformers attack teachers and teacher unions, they say it is because they are putting students first. When they support lawsuits attacking teacher job protections, it is because they are putting students first. The reformy state appointed superintendent in Newark, NJ, Cami Anderson, says that too many adults are getting in the way of her plans to close neighborhood schools and hand them over to charter operators “for the kids.” Even Pennsylvania Governor Tom Corbett, who has systematically decimated public schools in Philadelphia through budget cuts, claimed he was putting students first with an agreement to raise a cigarette tax to aid Philly schools. Allow me to explain what it means. The airlines get it. Children need adult assistance to succeed and if those adults are under extreme stress, say from lack of oxygen, or from poverty, or from stupid tests and evaluation schemes, the children will not thrive. If you want to put children first, you must also put the adults who are working closest with them, their parents and their teachers, first. These studies generally [agree] that persistent neglect and inadequate nurturing are primary causes of brain deterioration. If corporate education reformers are truly interested in putting children first, they will need to confront poverty. We already know how to do it. Our social programs like food stamps, Medicaid, Earned Income Tax Credits have all worked to reduce poverty, but they have not gone far enough and they are under constant political threat of being reduced. Professor Madrick recommends giving poor adults with children cash allowances as is done in many countries in the world right now. 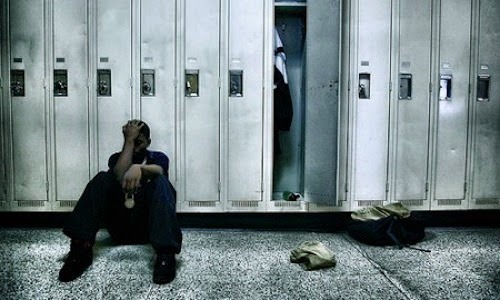 A frontal attack on poverty will reduce adult stress and increase children’s ability to learn. Teaching is a stressful job under the best of circumstances. 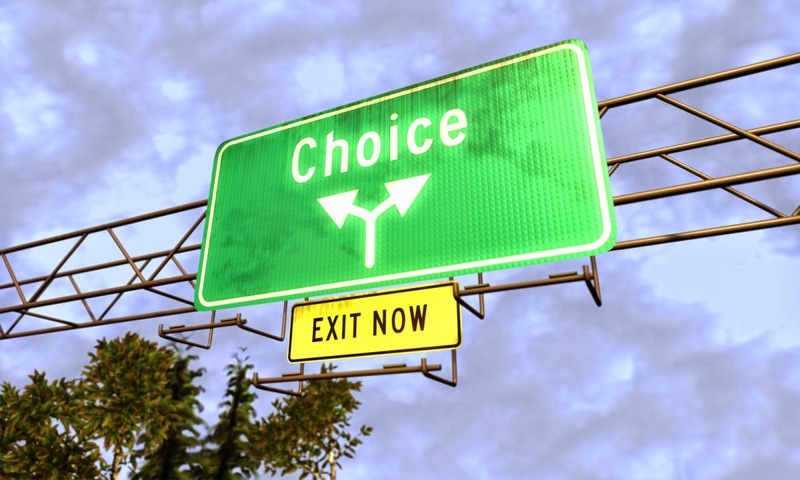 Everyday a teacher faces hundreds of decisions, large and small, that impact student learning. Whether it is classroom management, lesson planning, assessing learning on the fly, dealing with a student who is ill or traumatized or being bullied or being the bully or struggling with a new concept, stress is all around. Media reports blaming teachers for the issues, real and imagined, of public education, hare-brained evaluation schemes using student standardized test scores to measure learning, and attacks on teacher job protections only increase the stress. When teachers are put under the kinds of stress that threatens their job status for arbitrary reasons, they will make bad decisions. On one end of the scale of bad decisions is altering test booklets, such as happened under Michelle Rhee’s stressful tenure as Chancellor of the Washington, DC schools. At the other end of the spectrum of bad decisions is narrowing curriculum to focus on what is tested and subjecting students to endless rounds of test prep. If education reformers really wanted to put kids first, they would try to make the job of teaching as attractive and rewarding as possible. Teachers would receive the respect that they have earned for spending years of good service in the profession. Teachers would be made an integral part of whatever evaluation system is put in place so they could focus on growth rather than job loss. Finally, the emphasis would be taken off standardized testing and placed on the valuable, daily formative assessment that teachers must use to insure each student is learning. 1. Combat poverty so that parents can focus on parenting and students can come to school ready to learn. 2. Elevate the teaching profession so that teachers can focus their efforts on the child in front of them and not on some specious external test and flawed evaluation system. How do the corporate reformers want to put students first? 1. By calling for “no excuses” and claiming poverty doesn’t matter. 2. By calling for “school choice” that drains needed funds from public schools and worsens conditions for most poor children, while providing no appreciable learning gains for those who do attend charter schools or use vouchers. 3. By turning our public institutions into testing factories, so that public school children and teachers can be held to a false accountability. 4. By placing thousands of students in front of Teach for America recruits who are neither trained for teaching, trained for working with children with learning disabilities nor interested in teaching as a career. 5. Insuring that children in urban environments are exposed to scant resources, high teacher turnover and disruptive school closings. 6. By turning schools over to for profit corporations who by definition put making money ahead of educating children. 7. By destroying teacher job protections in the name of weeding out "bad teachers" identified by discredited statistical measures. Education reformers, if you want to have the audacity to tell life-long educators that you are putting children first, than please be ready to tell us what you are doing for the parents of children living in poverty. A poverty that robs children of the opportunity to learn. Please tell us what you are doing for those other adults in children’s lives, the teachers. Tell us what you are doing to insure that the thousands of highly qualified, appropriately certified, hard-working teachers out there are working in an environment that does all it can to insure their success. Students first? Bah. Reformers don’t know the meaning of the term. I dare say that any single teacher out there has put more students first in one day than any of these reformers have in a decade of reformy, anti-public education, teacher bashing babble. I was saddened to learn of the passing of the great young adult author, Walter Dean Myers. Myers was an important presence on my classroom bookshelves. His books spoke to a segment of my students who found very few voices they could relate to in literature. He wrote of poor African American kids on the streets of Harlem. Myers was acutely aware of the need for these children to see themselves in the pages of books. I had the pleasure of meeting Myers on one memorable occasion. I was struck by his large physical presence and gentle manner. He embraced the great responsibility any author of young adult literature carried and he was determined to meet that responsibility with books that were of high quality and which transmitted values for young people to emulate. Myers was intensely proud of maintaining his residence in Jersey City, New Jersey. He said he could see the children he was writing about walk past his window as he worked in his home. Myers books were read, I believe, because they spoke to the students who picked them up. Many of these students would be described as “reluctant readers.” Their “reluctance” was mostly rooted in failure to find a book that spoke to them. Myers books spoke to them because they could find themselves in these books. For the young adult trying to battle towards a bit of independence and a sense of self, it is crucial that they find books where they find believable role models. Books transmit values. They explore our common humanity. What is the message when some children are not represented in those books? Where are black children going to get a sense of who they are and what they can be? And just as importantly, Myers went on, where are white children going to get their knowledge and their ideas of people of color without books that represent these people? Myers essay was written in response to a report from the Cooperative Children’s Book Center at the University of Wisconsin that showed of the 3,200 children’s books published in 2013, only 93 were about black people. Apparently, the world of children’s literature has not come far enough in publishing books in which our minority children can find a home. Walter Dean Myers did his part; it is now for others to remediate this inequity. The reading wars are back with us again. Carmen Farina, the new schools chancellor in New York City, said recently that she wants to see more aspects of "balanced literacy" put back into instruction in the city's schools. You can see the New York Times report here. The city moved away from balanced literacy under former Mayor Bloomberg a few years ago citing concerns that the approach was too loosely organized. Balanced literacy did not fit into Bloomberg's or his schools chancellor Joel Klein's corporate model of schooling. Farina, who has actually taught and been the principal of a school believes that balance is best. Chester Finn, President of the Thomas Fordham Institute, a conservative education think tank and huge booster of the Common Core, is horrified. In The Balanced Literacy Hoax he says that balanced literacy is neither "balanced" nor "literacy." In fact he becomes a bit unbalanced in his critique. It is truly amusing to see Finn cite what he calls "semantic infiltration" in his criticism of the term balanced literacy. Semantic infiltration can be defined as using a term to mask its real intent (like the "Clear Skies Bill" from the Bush administration that actually would have allowed companies to increase polluting the air). After condemning "balanced literacy as "semantic infiltration", Finn says that what we need in literacy instruction is "scientific reading instruction." Apparently Finn misses the irony of his replacing one example of semantic infiltration with another. "Scientific reading instruction" is at best quasi-scientific and at worst a proven failure as a method of reading instruction. See here. So we return to the reading instruction wars for the umpteenth time since the 1960s. As a literacy teacher for most of those 45 years in question, I have seen it all argued over and over. What sometimes gets lost in all the noise is that teachers teach kids not programs. One thing that Carmen Farina has over Chester Finn is that she actually taught literacy to kids. When in doubt, go with those who have actually taught. The term "scientific reading instruction" comes to us courtesy of the Bush administration and No Child Left Behind. A group called the National Reading Panel came up with literacy instructional recommendations based on a review of what they decided was scientific research. The panel's definition of what scientific research was was so narrow that they were bound to come up with recommendations that focused on the skill of reading (decoding) over other important and less easy to measure aspects of reading. Not surprisingly, the panel came up with a series of recommendations focused on skill driven instruction including a heavy phonics emphasis in early reading instruction. Guess what. After the implementation of the program, called Reading First, a comprehensive study discovered that kids did indeed get better at decoding. The only problem was that they did not get any better at actually reading. You know, reading. Actually understanding what they read. What those of us in the literacy business call reading comprehension. What Reading First proved is that kids learn what you focus on in your instruction. If you focus on one aspect of a complex process, students will get better at that one aspect of the process, but not necessarily at the process itself. Balanced literacy attempts to understand the complexity of learning to read and to focus not just on the skill involved in reading, but also the will. Chief proponents of balanced literacy are life-long teachers and researchers like Lucy Calkins of Columbia University, Irene Fountas of Lesley University and Gay Su Pinnell of Ohio State. Balanced literacy emphasises teacher instruction in word solving and comprehension strategies along with lots of practice based on student choice in reading materials and writing topics. Chester Finn tries to conflate balanced literacy with whole language instruction, a term that has (wrongly) become a buzz word for poor literacy instruction. He is wrong. His love affair with "scientific (sic) reading instruction" should have ended years ago, but the idea that the only road to literacy is through a heavy phonics emphasis will not die. The reading wars are never going to go away. The mistake people who do not teach actual children make is that they think teaching a certain program is the answer, so we have this battle over "scientifically (sic) based instruction" and "balanced literacy." Real teachers don't teach programs; they teach children. When you actually teach children, observe their learning, sit beside them and shape their development, you can see clearly that learning to read and write is a combination of developing skill and fostering the will to read and write. Skill and will are complementary aspects of literacy learning. Children begin with the will to learn, develop the skills as they receive instruction, and improve as they practice in real reading and writing situations under the guidance of the teacher. No program can achieve this for children. Only good teachers can.